Laura McCorkle has been learning from horses for 40 years, and hopes to someday know something about them. 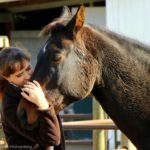 The last 3 years helping out at SAFE in various capacities has been one of the most rewarding of all her equine experiences. 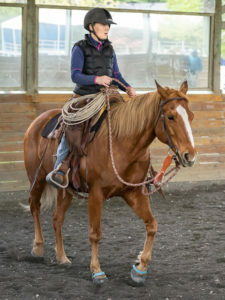 She started as a kid on the east coast with borrowed backyard ponies and lesson horses, 4‐H, and hoarding‐babysitting money to lease scrawny nutcase ponies at the local barn. 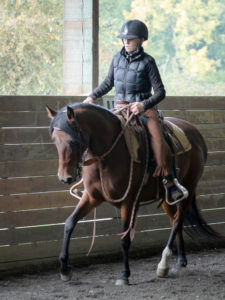 Then there were years of hunter‐jumpers and show barns, a few fox hunts, lots of trails, much manure‐slinging in all sorts of weather, schooling cranky lesson horses, working with therapeutic riding programs on the east coast and in WA, and a 7‐year break from intensive riding when her now 17‐year‐old daughter was young. 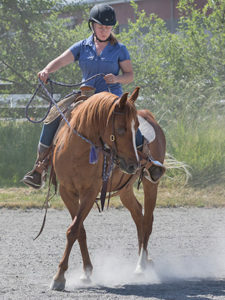 Since living on the West Coast, Laura has tried a variety of “natural horsemanship” methods, learned (and enjoyed) some Liberty Work techniques and trick training, and dabbled in Western Pleasure and Reining. 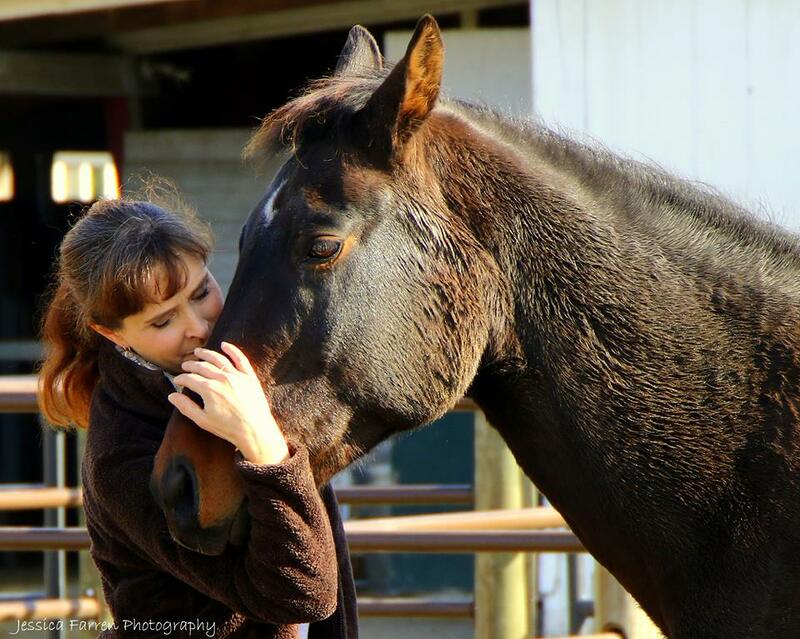 When not at SAFE, Laura enjoys sharing her horse addiction with friends and clients, using her poor old Quarter Horse Grady as a training‐technique guinea pig, loving on her ancient Red Heeler dog, cooking, watching movies, and being with her awesome family.